A joke comes when we take the name pineapple; nor a pine neither an apple; still pineapple! The name is very amazing, right! Well, here we will be talking about one of the highly beneficial and liked fruit called “Pineapple”. From outside, it is quite thorny and piercing one; but from inside its delicate, juicy and delicious. Pineapple is a native plant of Brazil; but now-a-days, it is widely grown all across India. 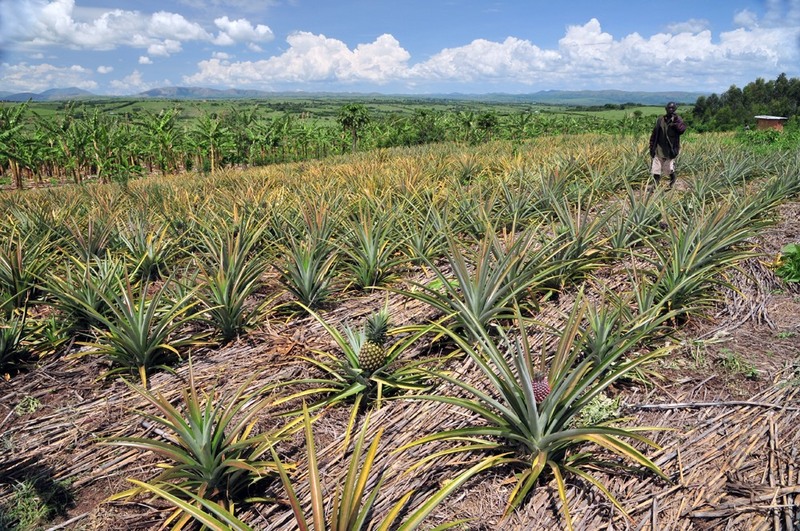 Pineapple is a herbaceous perennial plant which grows 3-5 ft tall. It has stocky stem with waxy, needle-tipped leaves. Before getting matured to fruit, it develops as a red-coloured flower; it can also be said as crown fruit as the fruit develops on the top of plant; like a crown on head. The plant bears several long; oval as cylindrical fruits during each season from March-June. Pineapple belongs to kingdom Plantae and ‘Bromeliaceae’ family. Its binomial name is “Ananias Comosus”. In Hindi it is also called Ananas; whereas in Sanskrit it is called Bahunetra; meaning having multiple eyes. The plant takes 2 years for maturing. It looks as a kind of wild plant; conical bunch of flowers, thick leaves etc. As other fruits, pineapple is also a very nutritious one. It is sweet, tangy, sour and delicious too. It is rich in dietary fibres, energy, sugar, choline, Vitamin B1, B2, B3, B5, B6, B9, C, K, sodium, potassium, zinc, iron, magnesium, calcium and many more. 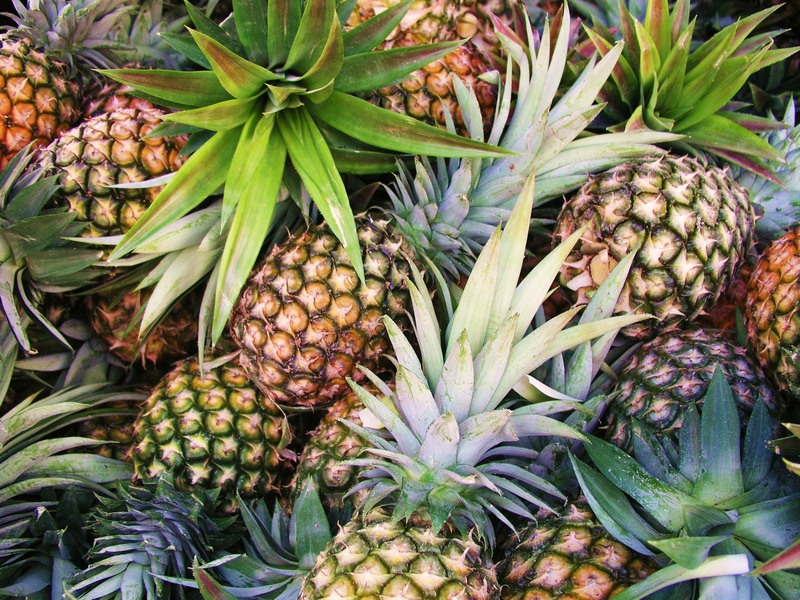 Whole part of pineapple plant contains an element called ‘Bromelin’ which is the mixture of proteolytic enzymes. This element is very helpful in curing several ailments and body disorders even. The flesh of pineapple contributes in all cuisines. Apart from used as a simple fruit; we all know about Pineapple juice. You must have seen many roadside stalls selling pineapple juice and squash. It acts as an appetizer as well as an antacid. Slices of pineapple with cherry is used as a garnishing item and chunks are used in desserts and fruit salad too. It is also used in pizza topping as well as; in hamburger as a grilled ring. Pineapple is also used in yoghurt, jams, jellies, candies ice creams, cocktails etc. Now, lets proceed to the main part of our topic which is medicinal properties. Many of us consider, pineapple as a simple fruit but it is far more than this. It’s like a complete package of health; hidden numerous healing benefits in it. In case of any kind of breathing problem like asthma, breathlessness, sinusitis etc pineapple is a very helpful cure. Take pineapple juice with the powder of Indian gooseberry seeds and cumin seeds. Give this mixture with honey to the patient; twice a day. Take 10 gm juice of ripe fruit and add 2 gm of pepal root and ginger. Mix roasted borax and honey in it and give it to the patient. It relieves in all kinds of respiratory problems. Pineapple is a very useful ingredient in diabetes.Take 100 gm of pineapple juice and add 10 10 gm of amla seeds, jamun seeds and gokhru. When dried, grind to form a fine powder. Give 3 gm of the powder twice a dy. . While this cure, the patient should avoid spicy, sour and red chilli foods. The Vitamin C present in it self acts as an antacid. Cut the fruit into small pieces and sprinkle rock salt and black pepper over it. It has the efficacy to cure indigestion. Take 10 gm pineapple juice and 125 mg of roasted asafoetida, 250 mg of rock salt and ginger juice. Give this mixture to the patient twice a day. It is beneficial in all kinds of stomach disorders and flatulence. Take pineapple juice and mix half the amount of jaggery in it. Give this solution to the patient in order to cure acidity, heartburnings etc like this. 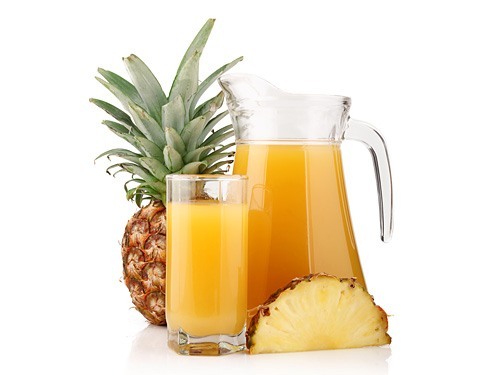 Give pineapple juice to the patient or add honey in 20 gm of juice and give this to the patient. It makes the patient sweat a lot thus urine is released completely and fever reduces naturally. In case of Amenorrhoea, take 10 gm of unripe pineapple juice and 1-1 gm of pepal bark and jaggery. Give this to the patient; it normalizes menstrual flow and the cycle. Prepare a decoction of 40-45 gm of pineapple leaves and give this to the patient. This is also helpful in curing menstrual problems. 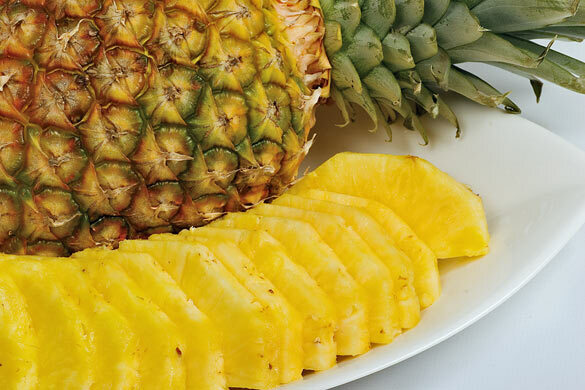 Pineapple is rich in Vitamin C; which is known as the killer of pathogens. If you are suffering from dab skin texture and rough hairs; the include pineapple in your diet. Being tasty and juicy; it make your skin bright and hair looks just fabulous. It’s a fact that pineapple strengthens the uterus; but taken in excess quantity it can also lead to abortion. It is also purgative and anthelmintic. Extra pineapple creates an itchy sensation in throat which might harm you. Anything taken in adequate quantity; is always good for health. You should be conscious about your diet; it should be ample; neither excess nor reduced. This is the key for a good health. So take care and live well!